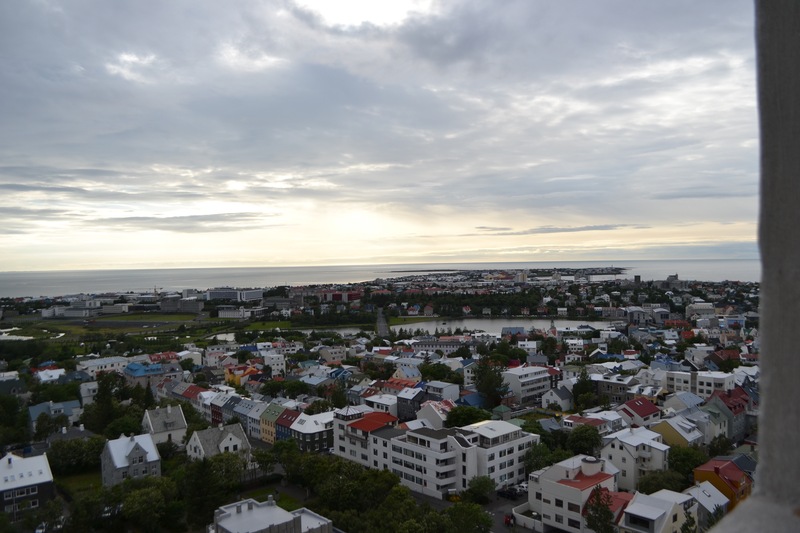 Reykjavik has 21 hours of sunlight this time of year, and even after the sun set last night, it was still a little light. Flipside in winter must be tough. This morning we drove back to the airport to return the car. Next, was our 3rd visit to Blue Lagoon. 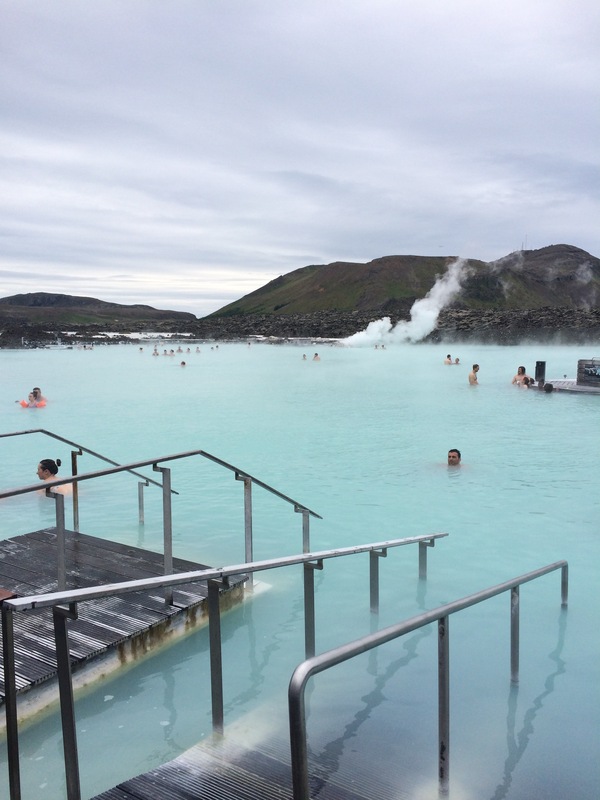 It’s fed by geothermal waters, so even with a 55°F outside temperature, it is warm and relaxing. We walked around the pool for about an hour, then had 1/2 hour in-water massages. Takes all the stress away to float on air mattress in the water and get a massage. 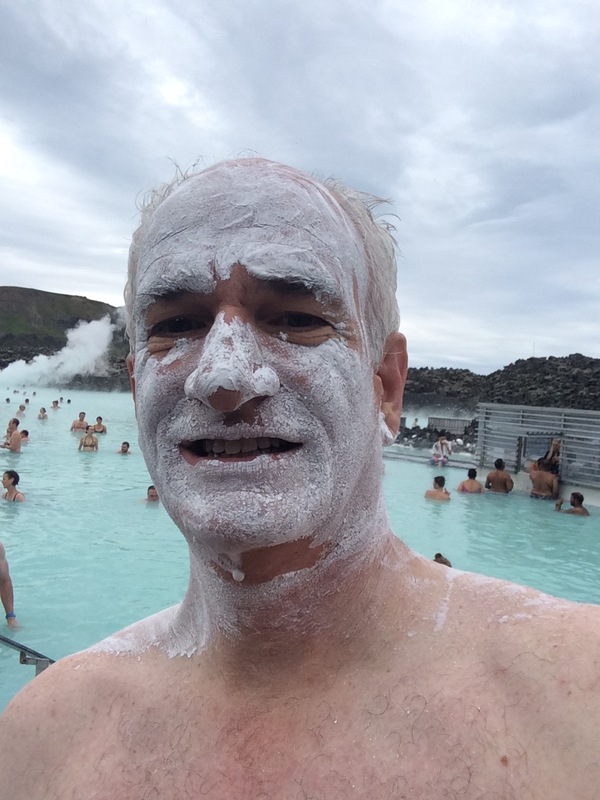 They have this natural silica that results in the obligatory selfie. A bus ride back to the city, we then set out to walk and explore. 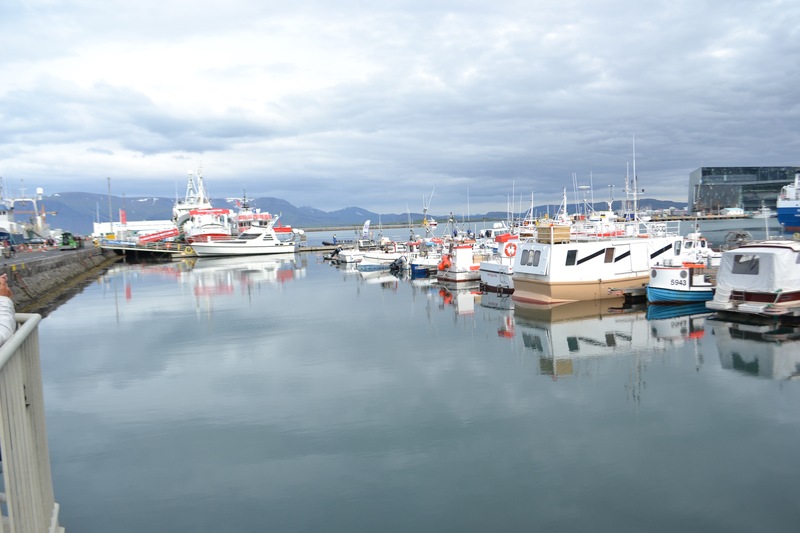 This is the harbor right across from our hotel. 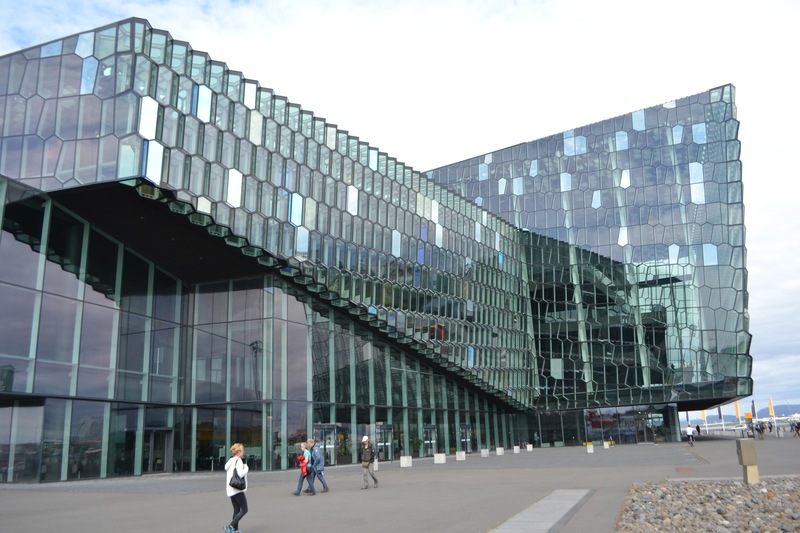 The Harpa Concert Hall is also right on the water. We went in, it’s full of mirrors and glass and reflects the water and the city.
. This time we went in. Plain on the inside. Last thing was a nice dinner, and we certainly had that at 3 Frakkar. 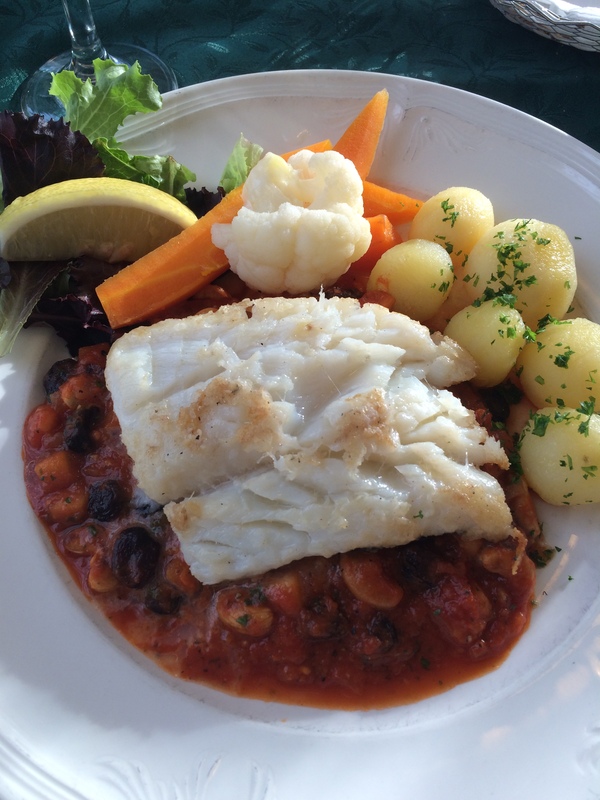 Ellen had smoked cod, I had (and I took a picture of the menu so I could describe it for Rebecca) panfried salted fillet of Cod with cashew nuts, raisins, tomato and apple. We both thought our dishes were excellent, the sauces made them especially flavorful. We shared an ice cream sundae for dessert. We got the idea tonight that I should look for an Iceland football jersey. We tried a few stores before dinner with no luck. Ellen made it a mission, looking at all the stores on the way home, and lo and behold, we found one. So my collection now includes jerseys from Barcelona, Argentina, Poland, Denmark & Iceland, with a rugby shirt from Ireland. Tomorrow, we have to come home. Glad to see Colby, but wishing this great vacation didn’t have to end. 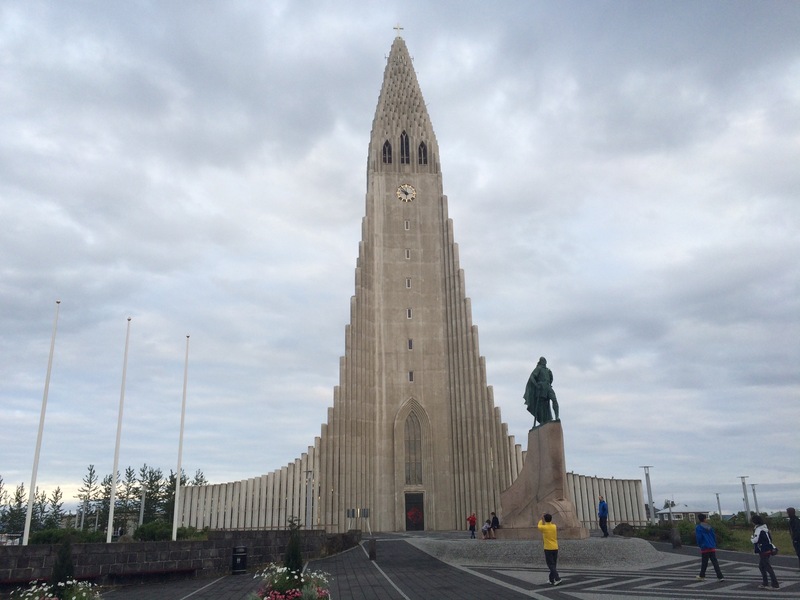 This entry was posted on Saturday, July 11th, 2015 at 7:52 pm	and tagged with Blue Lagoon, Iceland, Reykjavik and posted in Iceland, Reykjavik, Vacation. You can follow any responses to this entry through the RSS 2.0 feed. 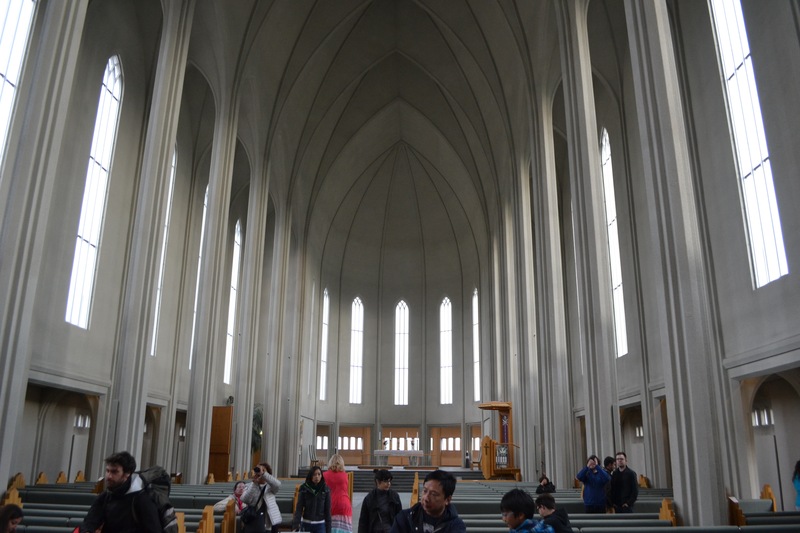 « Denmark/Iceland Day 8: Now with Iceland! The best part of this post was hearing that you had a “great vacation.” I am so happy for you and appreciative that you share your adventures. Glad you found that jersey. Great save Ellen!!! I think you should use the silica selfie as your avatar on Twitter for a little while. Safe travels.